Is the Art Bubble About to Pop? Experts explain what factors usually lead to a crash in fine art prices. Picasso's creations still fetch millions. For those clients with an extra $20 million or so burning a hole in their pocket, is it time to invest in—or bail out of—the collectible art market? Prices paid at the high-end auctions certainly have been drawing attention, with Christie’s and Sotheby’s selling over $2 billion in art this November. Million-dollar prices for fine art objects are becoming mundane; nowadays, it takes eight- and nine-figure values to make headlines. At these prices, it’s natural to start asking if the art market has entered a bubble phase. It wouldn’t be the first time: Prices corrected sharply in 1990 and in 2007. Speculating on whether or not the market is in a bubble—based on headline auction results—isn’t a particularly rewarding exercise, experts caution. One reason is that the mega-sales are only a very small slice of the overall art market. Roman Kräussl, a professor at the Luxembourg School of Finance, has compiled a dataset with over 10 million fine-art transactions from the past 100 years. 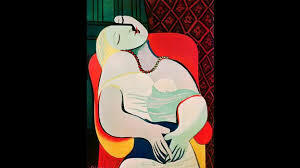 He reports that just 1% of paintings auctioned from 1970 to 2013 were worth more than $1 million. Those transactions are not corrected for inflation, Kräussl says, and an adjusted number would be even smaller. Additionally, in 2013 over 80% of all transactions on the global auction market were for less than $5,000. While the $100 million-plus prices for Swiss sculptor Alberto Giacometti’s works make good newspaper copy, they don’t represent the broader market. Once you move beyond the ultra-high end, it’s hard to see evidence of excessive speculation, says Evan Beard, a leader in U.S. art and finance for New York-based Deloitte. If you took the entire secondary art market and ran a repeat-sales regression on those works, the annualized return probably would be below that earned by equities and perhaps higher than fixed income and other asset classes, he maintains. Also, buyers tend to focus on the most influential artists, those whose works have influenced either the broader culture or other artists. When museums buy works like that, he says, those objects essentially disappear from the market and that constrains supply. Kräussl has researched the market’s price moves and has found that “an important rise in prices of artworks does not necessarily mean that there is an active speculative bubble in the art market.” He has applied statistical analysis designed for bubble detection to almost a million painting auctions from the past 35 years. His findings/? The Impressionist and Modern segment has rebounded since its correction from the 1991 bubble, but it is not yet in new bubble territory. What might cause prices to stop marching higher? A shift is likely to be caused by macro events, such as in 1990—when Iraq invaded Kuwait, the world experienced an oil shock, and the Japanese economy experienced a deep recession, he explains.